Bill Peters is no novice. He’s been around hockey a long time. 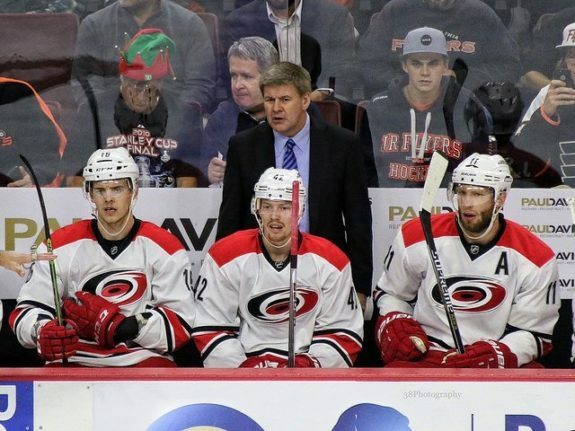 However, his run as head coach of the Carolina Hurricanes is his first as a head coach in the NHL. While he has undoubtedly been around the block more than once, it’s possible that he just might be learning a thing or two about being a head coach in the NHL. Hopefully he will continue to be the head coach of the Hurricanes for a while longer and take the team to the playoffs. 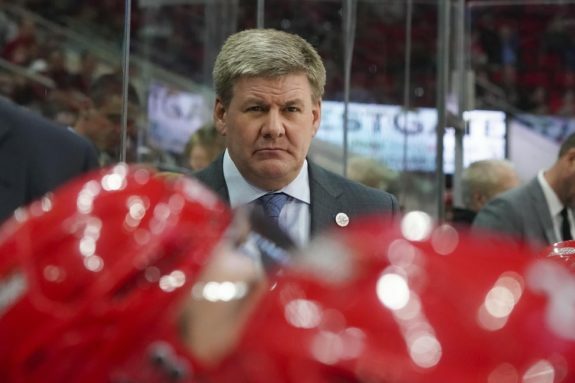 But, whether he stays or is dismissed, here are at least three lessons he is learning or at least should be learning while at the helm of the Hurricanes. Coach Peters has had this phrase uttered more times than anyone has been able to count during his tenure in Carolina. In fact, during his first two-and-a half-seasons, it was commonplace to hear it after a home loss. It’s one thing for the players to admit that they were lazy or disinterested or unmotivated when the initial puck was dropped, but it’s quite another for a head coach to acknowledge that he was unable to get his team prepared to play. Either of these two characterizations of his team’s play when they don’t start on time, or don’t have any jump, keeps him as the coach out of the equation. This is key, because when evaluating a coach’s performance, management doesn’t need to have the echoes of the refrain, “We didn’t start on time” coming from their coach. There is absolutely no excuse for a group of young, healthy professional athletes who are getting paid handsomely to play a sport they love to ever say that they did not start on time. But, is it the coach’s fault if they are slack about their effort? It could be that they are not listening to him, or that he has lost the team in some cases. But, that usually occurs after a few years, not right out of the gate. Whatever the cause, it does not help the coach to utter a phrase that immediately points back at him. Peters should be learning that in the aftermath of games that did not have the kind of effort from his team that he was expecting, to not set himself up as the fall guy. At least this might work to delay blame from coming his way. Another thing that Peters might be learning or should be learning is to not name co-captains for the team. He did this very thing this season, and from the view outside, it has not gone well. It defies the natural order of leadership to have a two-headed captaincy. Frankly, Justin Williams would have been the obvious choice for team captain, unless his having just returned was going to be a negative issue. Instead of both Jordan Staal and Justin Faulk, Peters would have been better off naming one of Staal or Faulk or Williams. Even Jeff Skinner would have been a good choice, but he was named the alternate captain. Skinner has been the life of this team on several different occasions. He has proven time and again that he can be lethal as a scorer. But, something has gotten to him. Two years ago, it was the concussion(s) recovery process that could be pointed to as bothering Skinner. He did not appear comfortable getting into traffic or going to the net. Nobody could blame him, really, after having suffered multiple concussions. But, he seemed to get over that last year and put up 37 goals, the most in his career. Now, it seems that he’s just not right, again. It may be that he is not happy with Peters juggling him around on different lines or keeping him off of the top two lines because of his defense. Maybe he is mad he was not named captain. It’s not clear what it is, but the co-captain thing is surely not helping. Skinner needs to be put in position to score and get into a groove again. Yes, his defense is not good, but at this point, when goals are at a premium, put one of the league’s best goal-scorers up top and turn him loose. It could be the difference in making the playoffs. But, in any event, please coach, don’t name two captains next year, or four alternates like the year before. Pick a guy and let him lead. I think that management and ownership have a good idea of what they are going to do already, I would think, right? I would think they have a plan and have talked lots about what their strategy is going into the trade deadline. Peters was responding to a question about showing management that his team is worth keeping together and even building on. Watching him as he responded, it was clear that the response was one riddled in a subtext that said, “They are not consulting or including me.” Obviously, that can be a gross misinterpretation of Peters’ intention and meaning. But, one thing is clear, and that is that management has not really given him the tools that he has needed to best put a playoff team on the ice. At last season’s final press conference, Peters pretty much pleaded with Francis for a scoring forward. Instead, Francis let it be known that his priority was addressing the goaltender situation. He did with Scott Darling, a move that is turning out to be much the same as that of bringing Eddie Lack to the team. Here 10 months later, the team is still without a veteran scoring forward, and the goaltending situation is abysmal. Peters was pretty much ignored, it would seem, and has had to try to make the best of the hand that has been given him. Recently he insinuated that there are some guys in Charlotte that might be eager to play, taking his team to the verbal woodshed for their lack of effort. 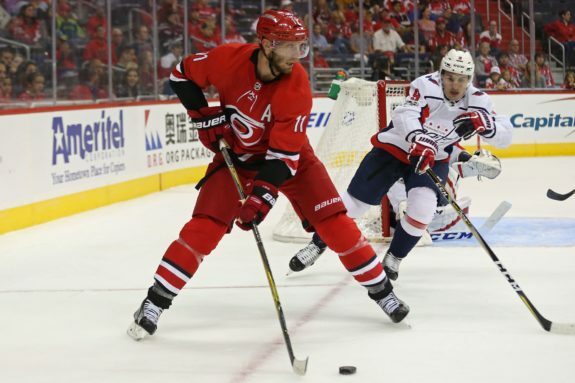 The whole media world waited eagerly for the calling up of Valentin Zykov or Warren Foegele, both scoring well for the Hurricanes’ AHL affiliate Charlotte Checkers. Francis made a move, sending Marcus Kruger and Josh Jooris to Charlotte after they cleared waivers. But, the awaited call-ups never happened with Zykov or Foegele, and Peters’ threats were empty. Peters seems to have been left alone to fight the battle of getting his team to the playoffs. If he is not successful, Peters may very well be sacrificed on the altar of, “We need a fresh voice to take us to the next level.” Maybe it will not play out that way. Peters has been an excellent coach in light of what he has been given, and not given. 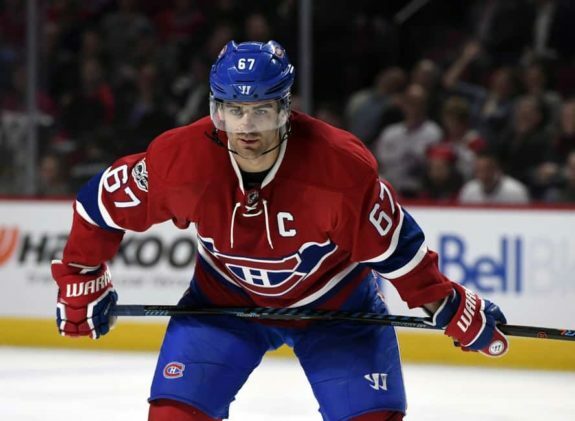 Here at the winding-down of the trade deadline, Max Pacioretty, Rick Nash, and Evander Kane are all still supposedly available. But, it is highly unlikely that Francis will trade for a top player at this point. More likely he will wait until free agency. Peters is on his own for the rest of the season to get the team into the playoffs. In this win-now world, especially when “now” was almost a decade ago for the Hurricanes, Peters may not get to take the team that he has built to the playoffs. If that is the case, hopefully he will have learned a few things that will help him in his next gig. But, the best scenario is the Hurricanes making the playoffs and Francis keeping Peters and adding to the team some veteran help for next season. Has Peters done things that maybe could have been done better or not been done at all? Absolutely. But, more importantly, he’s taken a team with a bunch of youngsters and molded them into having a legitimate shot at the playoffs each of the past three seasons. That says a lot. Hopefully owner Tom Dundon and Francis are listening.